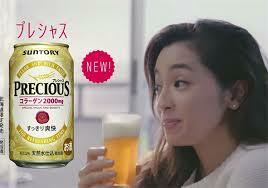 Suntory Launches collagen beer in Japan. 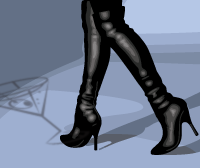 Hey, here next! Japanese producer Suntory is telling women to drink themselves beautiful using a new beer laced with collagen – the protein linked to skin firmness. With advertisements claiming that “guys can tell if a girl is taking collagen or not”, the 5% abv beer apparently contains two grams of collagen per can. Named “Precious”, the company has yet to reveal how effective the beer has been in trials, or how much it costs, according to Mail Online. Often featuring as a key ingredient in modern anti-ageing creams across the world, collagen is beginning to become popular in food and drinks. The British Skin Foundation claims that eating collagen does not benefit the skin in any way.